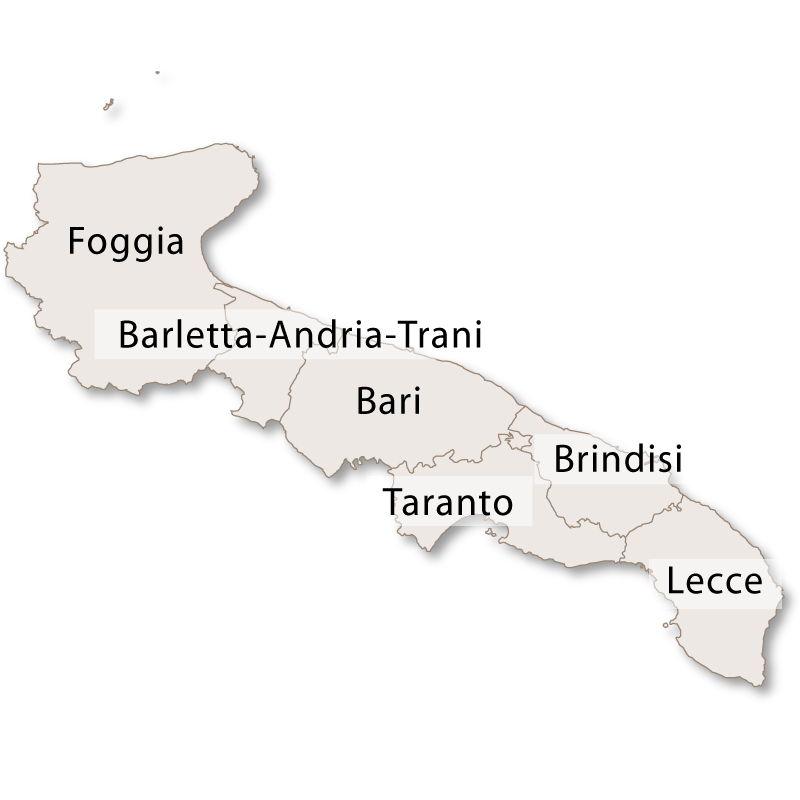 Lecce is the capital of the province of Lecce in Puglia. 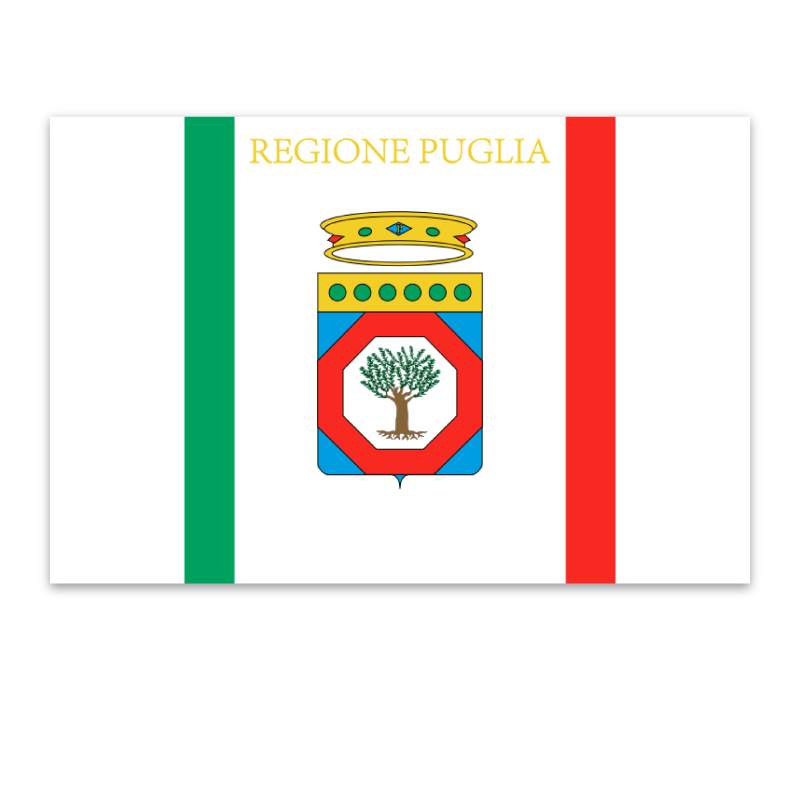 It is the most important city in the Salentine Peninsula and one of the most important in Puglia. 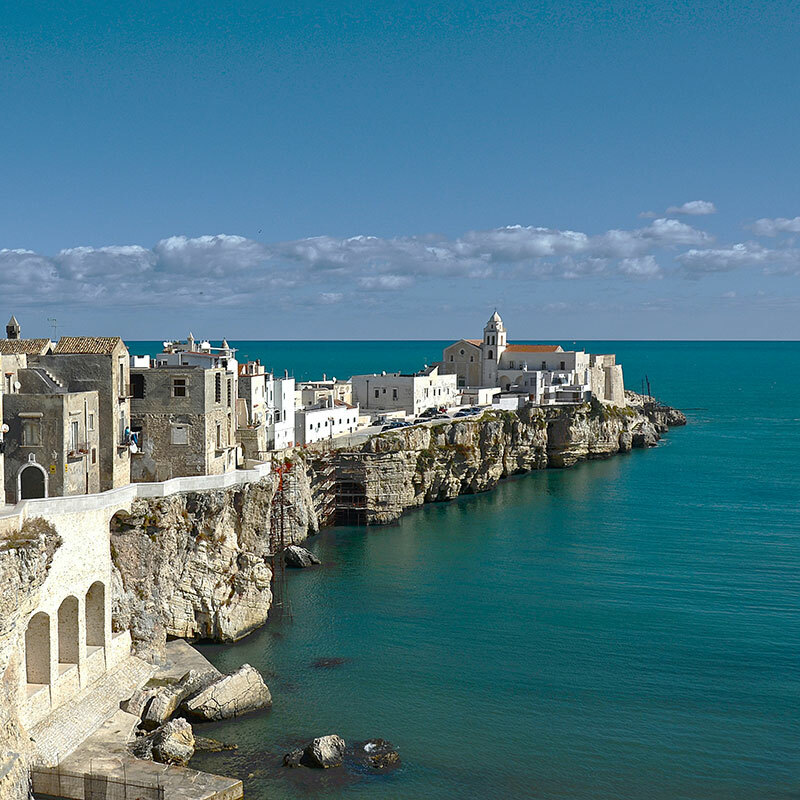 The city was founded around 2,000 years old and by the 15th century had become one of the most important cities in southern Italy. 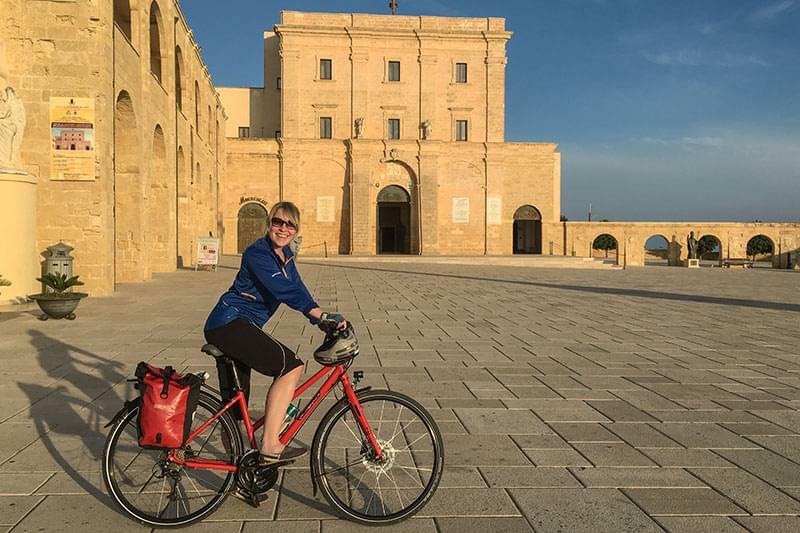 Over this period Lecce was decorated with important Baroque monuments and under threat from an Ottoman invasion, Charles V, Holy Roman Emperor, rebuilt the defenses of the city along with a new castle. 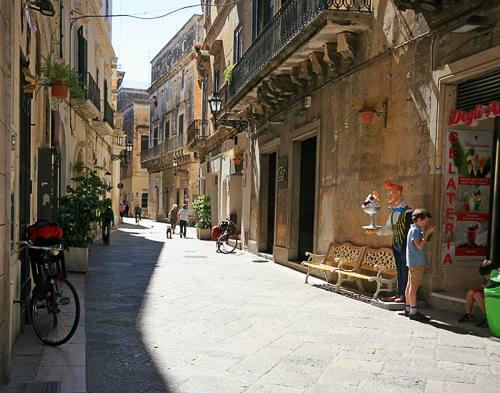 Rich in history, architecture, art and culture, Lecce has been called 'The Florence of the South'. 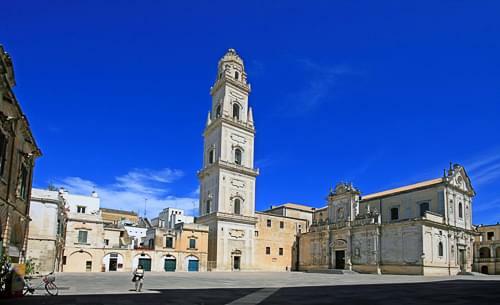 The city was also the seat of the first Christian bishop, Orontius of Lecce, who became the patron saint of the city. 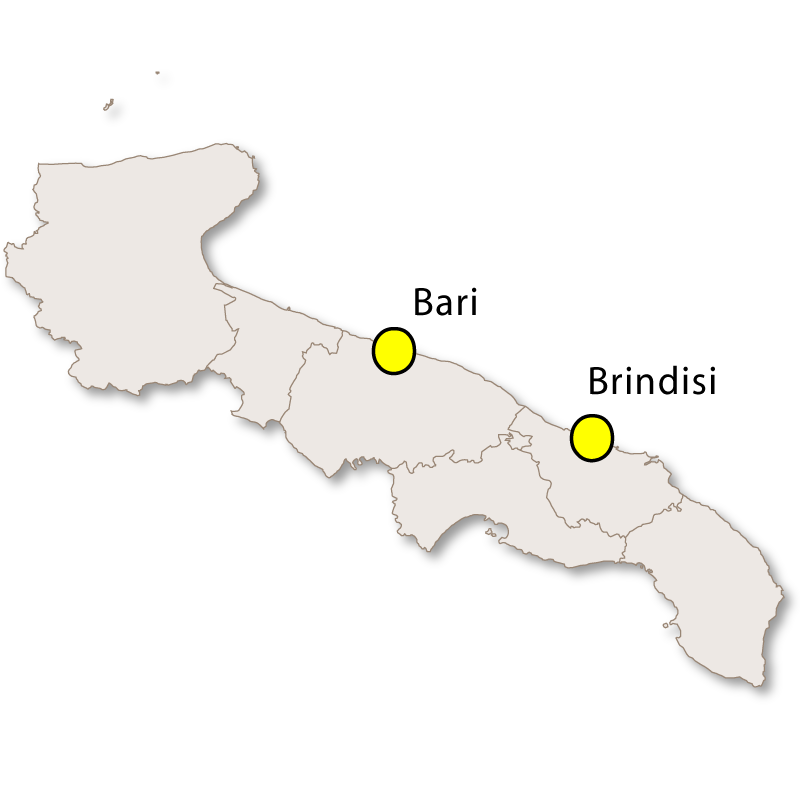 The 'Lecce Stone', from which much of the city is built, is an important export for the area. 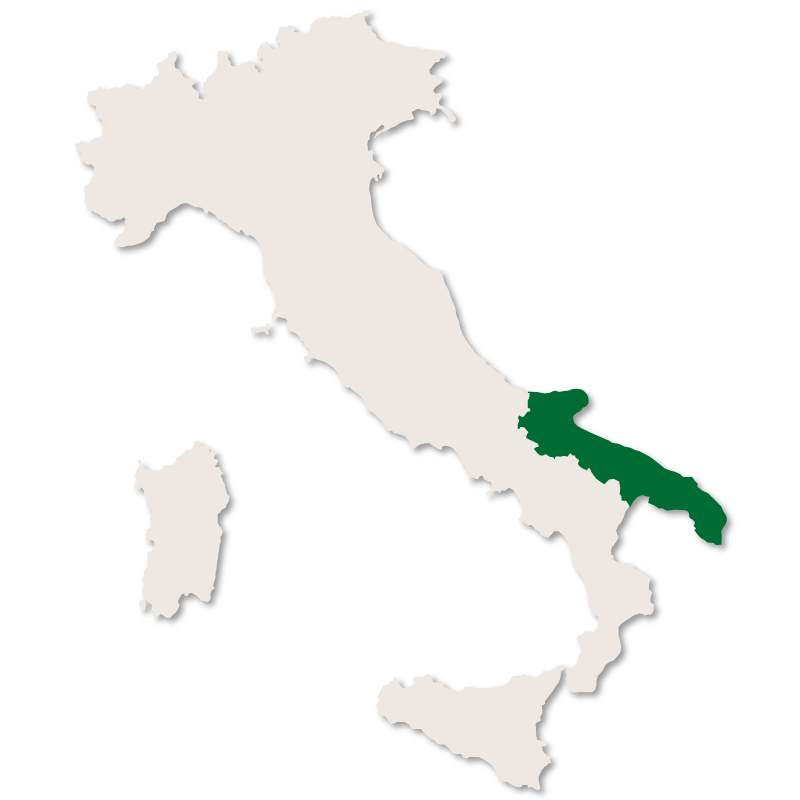 Lecce is also a leading agricultural producer particularly for olive oil and wine and the area around Lecce also specialises in the production of ceramics. 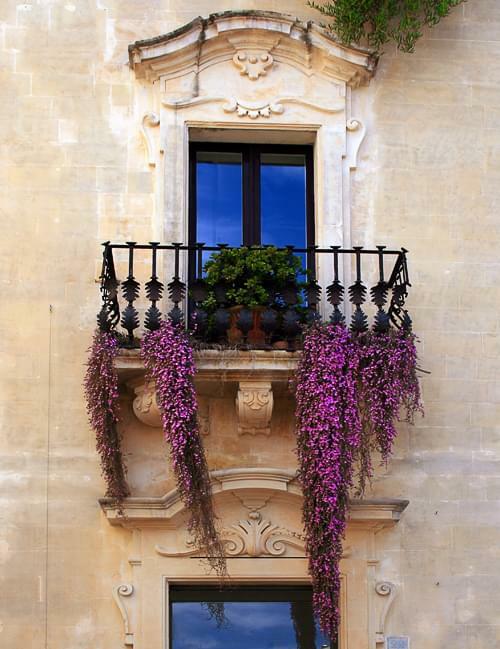 Lecce is rich in monuments and important buildings. The most important is the Church of the Holy Cross (Chiesa di Santa Croce). It was begun in 1353, but work was halted until 1549, to be completed only in 1695. Next to the church is the Government Palace, a former convent. 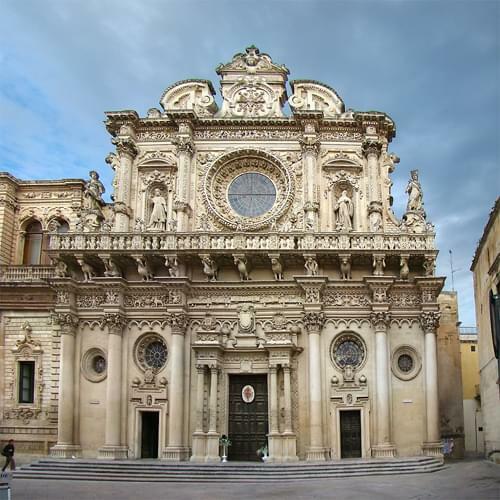 Lecce Cathedral is also one of the most significant cathedrals in Italy. It was originally built in 1144, and rebuilt in 1230. 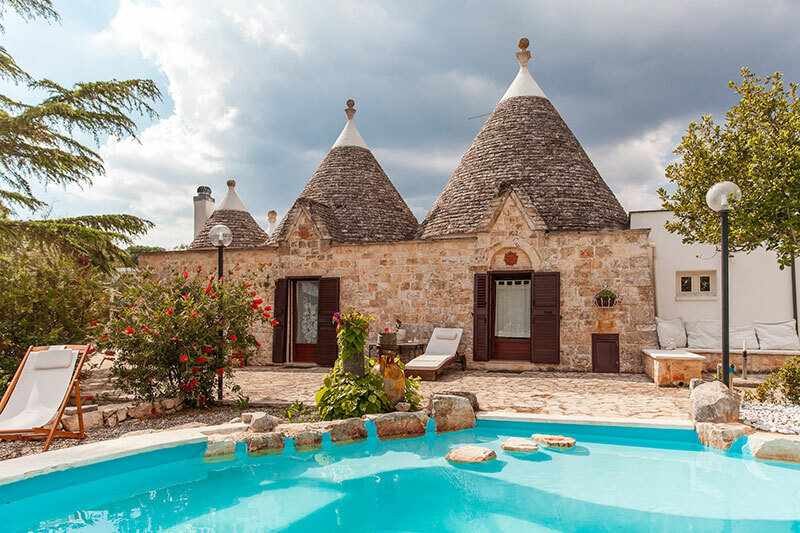 It was totally restored in the years 1659-70 by Giuseppe Zimbalo, who also built the bell tower which is 70 metre high. It is built over five storeys and has an octagonal loggia. 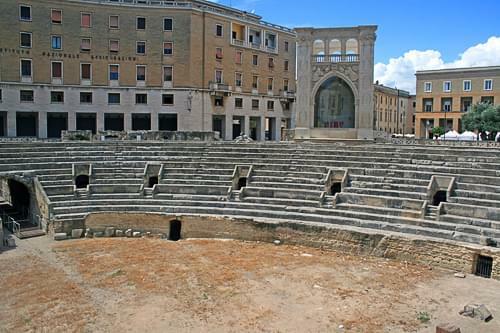 The Roman Amphitheatre is well preseved and is an impressive sight positioned at the side of Sant'Oronzo Square in the centre of Lecce. 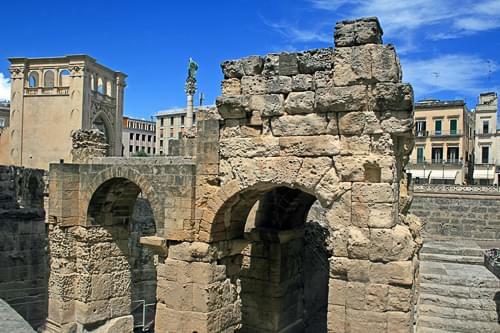 It was built in the 2nd century and in its heyday could seat more than 25,000 people. It is only partially visible now as other monuments have been built above it over the years. The theatre is still used today for various religious and arts events in the city. 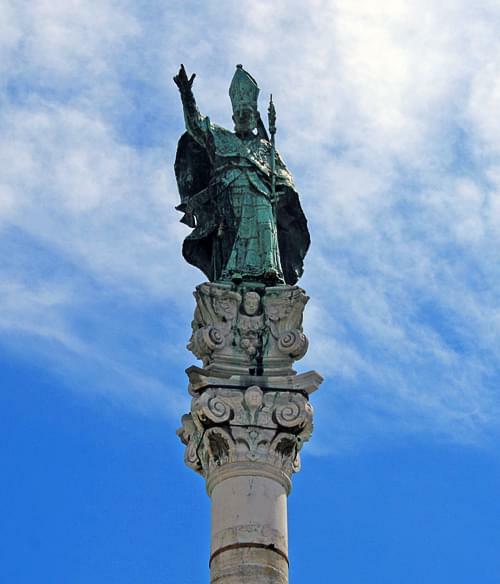 The column of Saint Orontius (Oronzo) towers over the main square. The column was a gift from the nearby city of Brindisi as Saint Orontius was credited with having saved that city from the plague. The column was one of a pair that stood in the centre of Brindisi to mark the end of the Appian way that ran from Rome to the south of Italy.